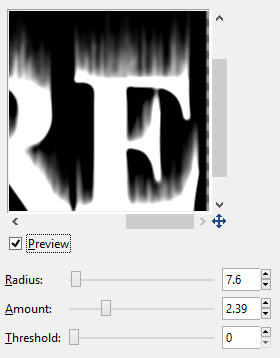 In this tutorial, learn a cheap and easy way to add fire and flames to your text in Gimp 2.8 using just filter effects. All you need to do is print text on a black background, and apply a Wind filter. Then a Gaussian Blur, and an Unsharp Mask filter. All that’s left is to color the flames with Color Balance, and add color to the text with a white 2-pixel stroke. Easy Peasy. You can also spend more time with the Smudge tool and IWarp to make the flames more realistic. But I left that out to make the tutorial short. It’s your turn to experiment. Create 2 layers below. One a text layer and fill the background layer with black. Make a backup of the text layer and put it at the bottom of the layer stack. Then Merge two layers. Now go to Image – Transform – Rotate 90 degrees. Apply a wind filter effect with Filters – Distorts – Wind. Be sure to activate the text layer. 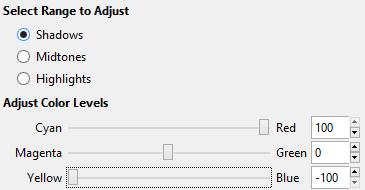 Make the settings like you see below. Apply the wind filter one more time. Rotate the image counter-clockwise to start editing. Go to Blur – Gaussian Blur. 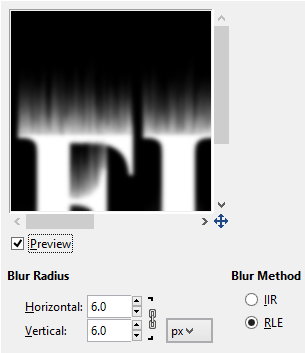 Make the Blur Radius 6 on both vertical and horizontal. Go back to the menu: Filters > Enhance > Unsharp Mask. Play around with the settings here, but you can use the ones below. Now to add a fiery color to the flames. Go to Colors > Color Balance. Adjust the shadows, mid-tones, and highlights. Make them all have the same settings of: 100, 0, -100. Put the original text layer on top of the layer stack and change the color of the text from white to something like red or orange. Right click the text layer and click Text to Path. Go to the menu and choose Edit > Stoke Path at 2 pixel white. To make the text flame animated is pretty straight forward. Just create additional text flames with varying amounts of flame. At least 4 or more frames should do it. Remember to merge the text and flame layers together for each frame like below. Here is a simple flaming text GIF animation. The following are 24 good tutorials on animation with Adobe Photoshop. Whether beginner or advanced, or somewhere in between, this list will give you something your looking for in 2D and 3D animation. Photoshop is a powerful tool to design impressive animations for websites, games, video, or business. This is not a complete list, but more than enough for you to chew on, as you learn animation. Some tutorials are for beginners, and some cover more advanced topics. If you have no experience in GIFs, Video Timeline or Frame Animation, then carefully go through the list below and you will find one that is easy to start with. One of the most common things that webmasters, bloggers, and online marketing professionals need to do when working on their websites is to optimize images and pictures. Since images can affect load time for the page, it has become necessary to reduce the file size. This may involve converting the image to a JPEG, or 256 color PNG, or resizing to a smaller image, and most importantly … compressing images to a small file size. Welcome to our 24 tutorials on beginner modeling in 3ds Max round up. These free tutorials were carefully selected for the beginner in mind, but a few of the tutorials will be a challenge even for intermediate and advanced 3ds Max users. Well this is not the definitive guide to beginner modeling, it will give you, the aspiring 3D artist, a lot of modeling experience. As well, as learning how to render some models with color materials. So you want to start a website or Blog? There are so many solutions out there. CMS’s (Content Management Systems), and lots of simpler website builders. In this tutorial I will show you how to easily set-up a genuine WordPress site (on a host server), with access to all the thousands of plug-ins and themes that make it so famous. WordPress sites offer excellent flexibility and control that many first timers seem to overlook. Wikipedia, reports that over 60 million websites and Blogs use WordPress (.com and .org). That astounding number seems to confirm that WordPress is number one. 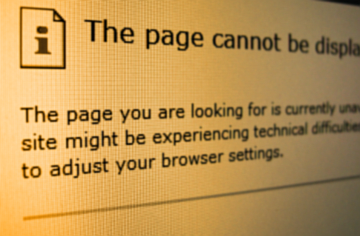 If you have not heard yet, Office 365 is ending its support for a Public Website feature. 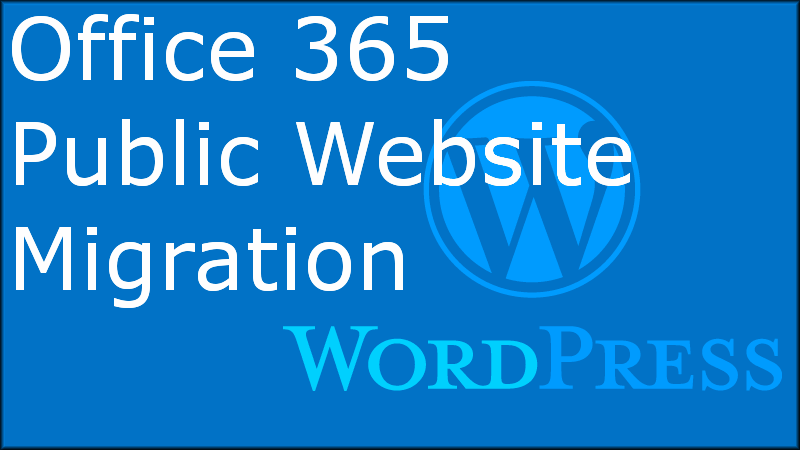 So now you have an Office 365 Public Website, and less than two years before Microsoft shuts it down. What to do. What to do. Well you could migrate to the suggested GoDaddy or WIX.com solutions, but I chose WordPress. Why? According to Wikipedia, WordPress has some 60 million website / blog users big and small. In this Gimp Text tutorial learn how I made my Logo for this website in Gimp 2.8. 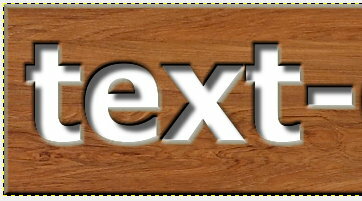 I show you how to create a text cut-out with a punched-in effect into a wood texture. To achieve this you will learn how to convert your text to a Path. A Path is needed for a smooth cut. Also, to get the text effects of Bevel and Emboss, Inner Shadow, and Drop Shadow, you will learn how to use Layer Effects for high quality results. Only one plug-in is required, actually a script you put into the scripts folder. 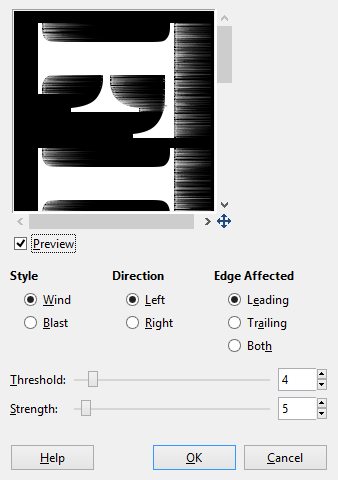 This script is called layerfx.scm and you can download this at the gimp-repository here. If you have trouble with the installation of the script or how to use it, then check this video for step by step installation instructions, with a short tutorial on how to use Layer Effects in Gimp. It is probably safe to assume that the first time you took a look at the crawl errors displayed on your Google Webmaster Tools, you felt like throwing up your hands in despair. That sinking feeling is familiar to many website owners and webmasters, so there is no need to panic as yet.